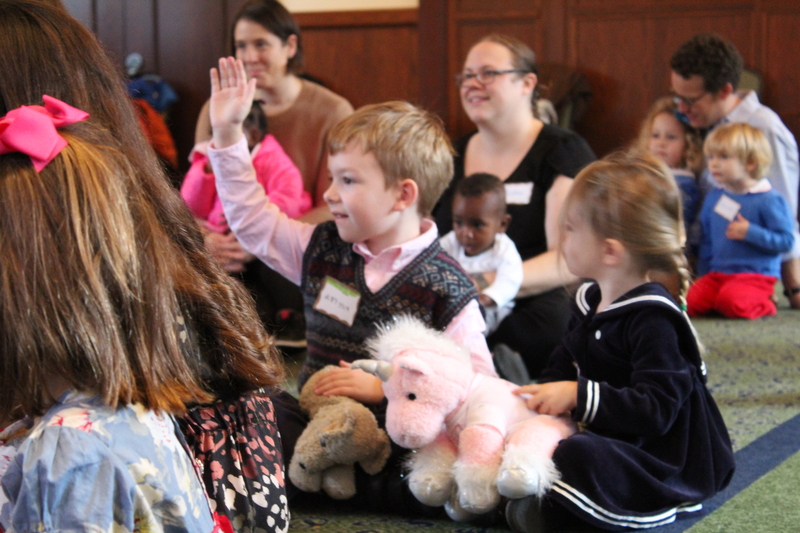 Every Sunday morning, while most of the parish is in “big church,” dozens of St. Alban’s youngsters gather in Nourse Hall for Children’s Chapel. They sing and pray and listen to scripture, responding with a creed and sharing the peace, just like the adults do, but in a way that’s designed specifically for them. St. Alban's has had a Children's Chapel for as long as anyone can remember. Parents typically accompany the littlest ones, but eventually the kids themselves tend to encourage their parents to go on to "big church" without them. 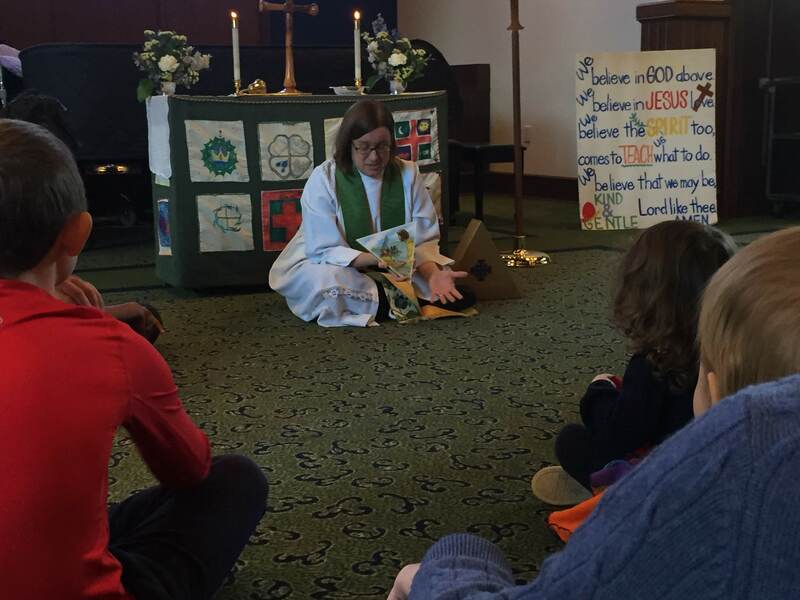 “I think that children have an experience of the church being fully welcoming to them in Children’s Chapel, with all their wiggliness and need to move,” says the Rev’d Emily Griffin. 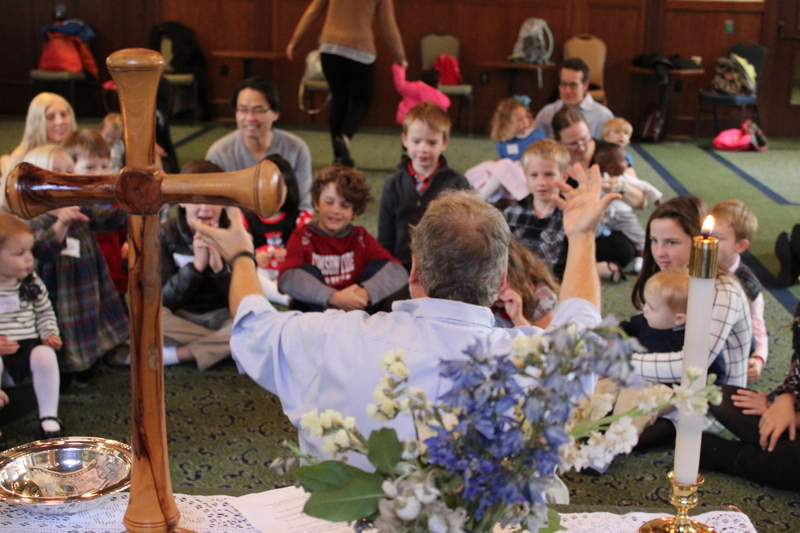 “There is a lot of joy and energy in the service,” says Bill Edgar, who’s been a Children’s Chapel leader for more than twenty years, starting when his own kids were little. “There have also been real moments of spirituality” as children offer up their fears and hurts during the prayers. “They get to share their joys and concerns out loud in prayer with an intergenerational community and know that they’re being heard,” Griffin said. They also internalize the rhythms of “big church,” so they’re prepared for what happens there. In that sense, Children’s Chapel is a door to the church and it’s not just for children. 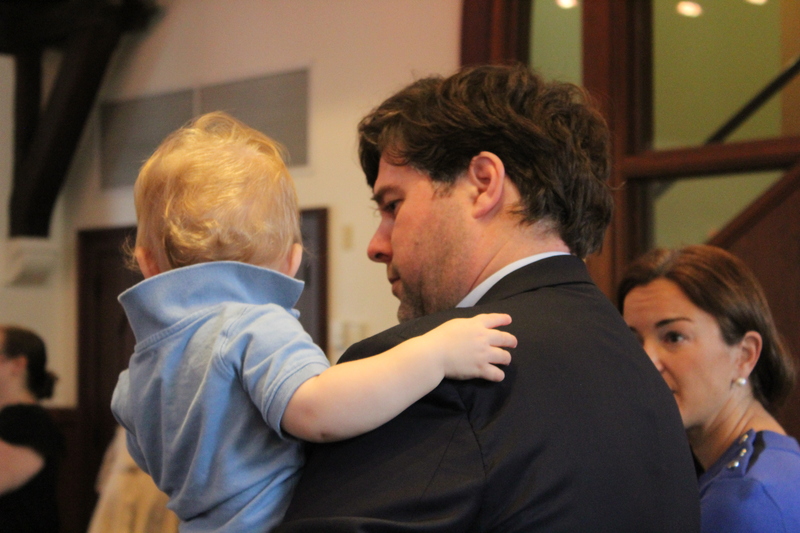 “Young families are often relieved to realize there is an opportunity to worship that is welcoming to them,” Edgar said. Adults help out in Children’s Chapel by greeting the children, leading worship, telling a Bible story or providing music. Volunteers are always welcome; if you’re interested, contact Michael Oliphant, or just show up on Sunday morning. More photos are online here.